Final Cut Roofing and Construction, LLC is a roofing company committed to setting high standards throughout the Dallas/Fort Worth area. As expert roofing contractors, we deliver an outstanding level of customer service along with the best roofing installation on the market. We began our journey as a company in 2009, but bring nearly 30 years of roofing experience combined. Whether your home improvement project is a small roof repair or a full roof replacement, you can expect the same level of professionalism across the board. At Final Cut Roofing and Construction LLC, we don’t prioritize our customers based on profitability. Instead, our roofing services are scheduled based on their level of severity. And in emergency situations, our goal is to fix and prevent any additional damage from occuring. Most noteworthy, we do this by providing our customers with a Free Emergency Roof Repair. You heard us right! Our Emergency Roof Repair is absolutely FREE with no hidden fees or obligations. Please note, it may take us up to 2 to 3 business days to order roofing materials and conduct a complete roof repair. However, if bad weather is in the forecast, we will be ready. While you wait for help to arrive, learn what to do when you discover a leak in 3 simple steps. 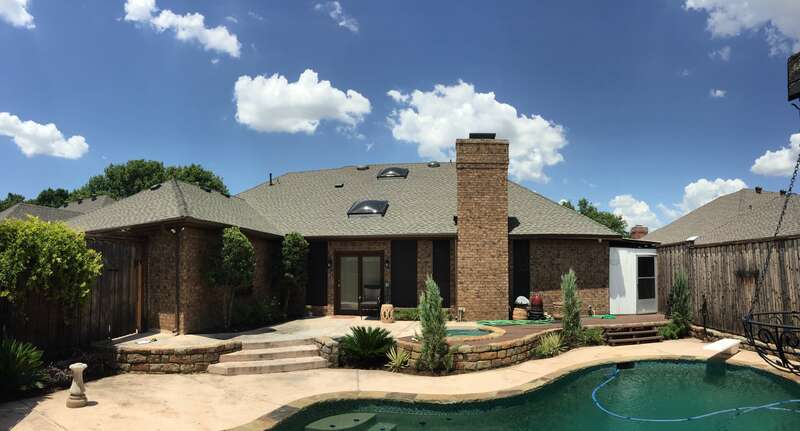 We offer roofing services throughout the four major counties surrounding Dallas/FortWorth. Perhaps you’re not sure if we offer roofing services in your area? Click on the link below to view our Custom Google Map and search for your city. Additionally, feel free to give us a call toll-free at 1-888-618-3271. …that in the state of Texas, roofing contractors are not required to carry a license? 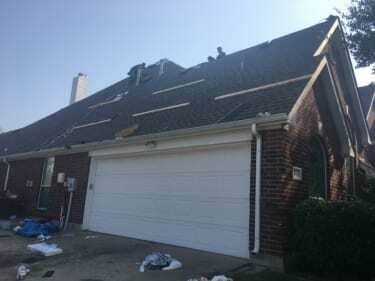 Experts estimate that there are over 3,000 roofing companies in the Dallas/Fort Worth Metroplex alone, yet none of these are actually required to carry a license. Consequently, this can make it extremely difficult for customers to know if they are choosing quality service or not. Let us show you how to choose a roofing contractor with just a few simple steps. Learn how to avoid the pit falls in dealing with a roofing contractor by learning how to spot Fly-By-Night Roofers, the tactics they use and who they target. We also provide free in-home and virtual presentations that are completely customized to your specific needs. Let us show you why we’re different and why so many of our customers are referring their family and friends to us. Additionally, we believe that more informed customers equate to a better overall experience. Please browse through our Frequently Asked Questions to equip yourself with important roofing knowledge. We take great care of our customers and it shows. Click on the pages below to see what people are saying about our service. Over the years, we have formed invaluable relationships in the roofing and construction industry. Be sure to visit Our Partners Page for a list of the top companies that we work with to provide you quality service. All roof technicians are fully trained by C.A.R.E. Final Cut Roofing is an outstanding company in knowledge, service, and quality. We purchased a house out of state and through a referral used this company for our inspection list repairs. Mark, the owner of this company, came to our house and did a very detailed and thorough inspection and made sure all the needed repairs were done. This spring, 2016, we experienced hail damage to our roof. Mark, the owner of this company, was called and went to our home the very next morning. He assessed the damage done, phoned us to discuss it, and uploaded pictures and video for us to see as we are out of state. His communication and knowledge helped to reassure us that all would be taken care of. Just a few weeks before the installation of our new roof, I received a call to find that another company was at our house and in the process of removing the roof. Quite confused I called Mark and he immediately went to our home to find out what was going on. He spoke with the crew that was at our home and contacted the company. He found out they were given the wrong address and had made a terrible mistake. Mark stayed at our house to make sure they made the roof watertight where all the shingles had been removed and immediately reworked his scheduled to have our roof replaced within the next few days. He truly went above and beyond to remedy this situation and put us at ease. Final Cut Roofing is a very professional and reliable company to use and Mark is an outstanding contractor to work with. 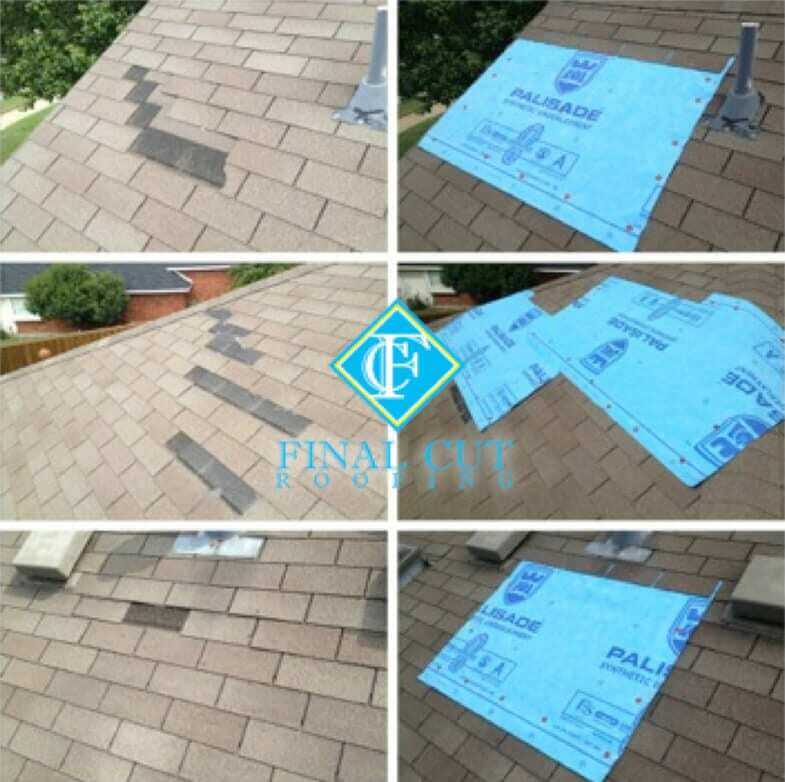 I have highly recommended Final Cut Roofing to my friends and family. The (softball sized) hail storm in April 2017 left damage to my roof, fence, and gutters. Final Cut Roofing assessed the damage, provided a written estimate (rare among roofers) and completed repairs exactly as per their estimate. The quality of the work performed was excellent. I am very happy with the repairs and how the smoothly the process went. I highly recommend these people for any roofing or remodeling jobs you might have. (Yes, they do remodeling also). I had the opportunity to work with Mark Nosrati last May. I called him to come out and inspect my roof as I had noticed a small leak by my fireplace. Turned out, I actually needed a new roof. My first thought was that was not good news. However, working with Mark was a really nice experience. He took care of everything! He met with my insurance adjuster for me and I didn’t even have to be at home. That was extremely helpful since I needed to be at work. He gave me all the information I could possibly need to make decisions on the replacement. The crew came out and did everything in one day. When I arrived home from work, they were almost done and about ready to start their cleanup which was very thorough. I have absolutely nothing but good things to say about this company and about Mark personally. He was very honest with me about everything and called me back EVERY time I called him. I just wasn’t used to such responsiveness and professionalism with a contractor. He certainly set the standard high for anyone I will work within the future! I would very highly recommend Mark. Mark was great. He really knows the business and did a great job of working with us. I worked with Mark Nosrati and can honestly say it’s the best experience I’ve had to date with any type of work being done to my home. He’s very reliable (so important!) and so personable, as well as very knowledgeable about the business. I could tell it was important to him that my experience was a good one. I will absolutely refer anyone I know who is looking for a roofer in the future. Mark was exceptional! He should be commended for his excellent customer service skills and his knowledge about the roofing process. Although our replacement was scheduled for two days, it was finished in one. I would definitely recommend your company to my neighbors and friends. Mark was extremely helpful and professional. I was able to take care of the roof repair without any major hassles and without having to take time off of work! I will definitely recommend Final Cut in the future or use them again if needed. We would like to express our appreciation for the prompt and courteous service we received regarding a leak we reported on Saturday, January 28, 2010. It was the first rainstorm since our roof was installed in September 2009, and it happened to be a Saturday. I contacted your office at 8:00 am, and had a response from Mark by 12:20 pm the same day. Your crew was at my premises by 3:00 that afternoon to take care of the problem that may have occurred. Everyone we encountered was courteous and professional. It is indeed a pleasure to do business with a company who exhibits such professionalism and whose primary concern is their customers. Just wanted to take a moment to thank you for a job well done! Having experienced major storm damage in Spring 2010 I was unsure of where to start when it came to getting repairs started. One call was all it took. I had the pleasure of meeting Mark a short time later. He struck me as a professional who was concerned about my best interest. He helped me through the insurance process as well as preparing a professional estimate of repairs needed. Immediately I could tell everything was straight forward with no deception. I have even recommended his services to other friends because of his genuine attitude. He appears to many years knowledge in roofing repair and estimating. Mark was in constant contact with me throughout the process, which was reassuring. Three words come to mind when I remember my experience with Mark. Mark, thanks for all your help in getting our roof replaced. My wife and I were very impressed with your professionalism during all the aspects of the project and your assistance with our insurance company made the whole process so much easier. You obviously know your business, from assessing the damage to selecting the right materials to get the work completed. Also, I was astounded with the proficiency and speed of the roofing crew you employed. They are truly professionals in their trade. If the opportunity arises, I will be happy to recommend you and your company to anyone needing work done on their roof. It was a pleasure doing business with you and again, much appreciation for a job well done!! Second roof put on for me. Could not be happier. Would have no reservations with using them again. Very professional. We were very pleased with the way the job was handled. Mark was very professional in everything that he did. The roof looks great. I am satisfied and have recommended Mark to my brother and 2 neighbors, and a phone call. Final Cut Roofing far exceeded my expectations. Mark treated me with respect and my home as if it were his own. Mark’s communication made this dreadful process not only tolerable, but actually pleasurable. Sign up & save 10% off of your next purchase. Final Cut Roofing & Construction. All Rights Reserved.